We’ve got some good news and bad news. 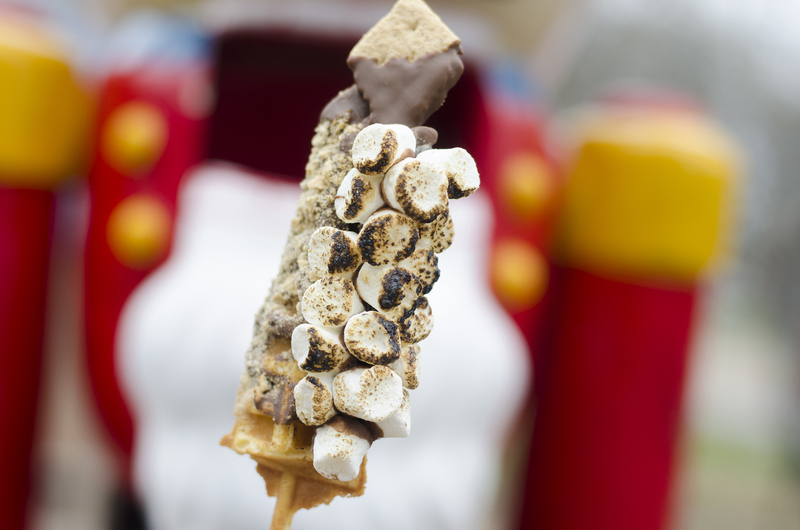 The bad: this the last weekend to enjoy our gourmet waffles on a stick at Bright Lights Windsor. The good: we’ve got a new, mighty fine waffle to bid adieu with. As we’ve done each weekend, we’re taking one waffle out of rotation (cookies & cream) and are introducing a new one. 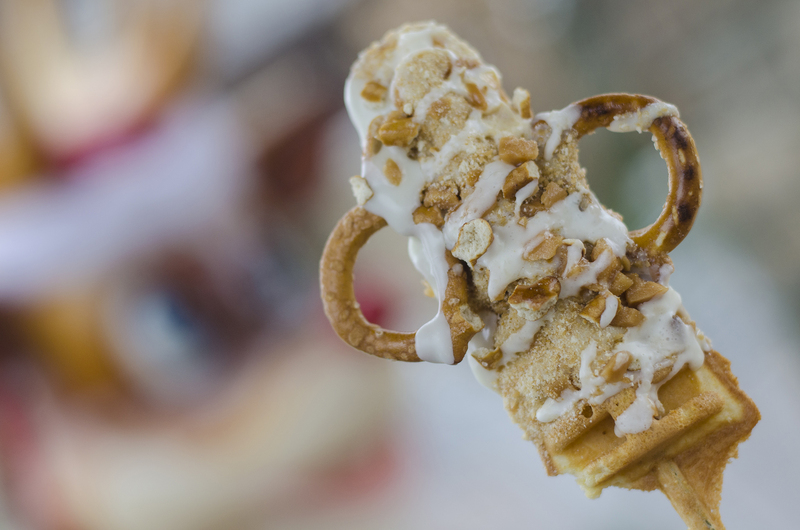 Here are the three gourmet waffles on a stick that we’ll be serving up at Bright Lights for Friday, December 28 and Saturday, December 29 and Sunday, December 30. We encourage you to take photos of yourself enjoying the waffles using the #WindsorEats hashtag so we can share them. It’s a Festivus miracle! A s’more in waffle format! By far the best seller the opening weekend. It’s a fresh classic waffle with chocolate coating and covered with graham cracker crumble. Draped over the waffle are a cluster of marshmallows which we toast for you on the spot. The sweet aroma alone of the toasted marshmallows will have you running to our Traveller to get one. 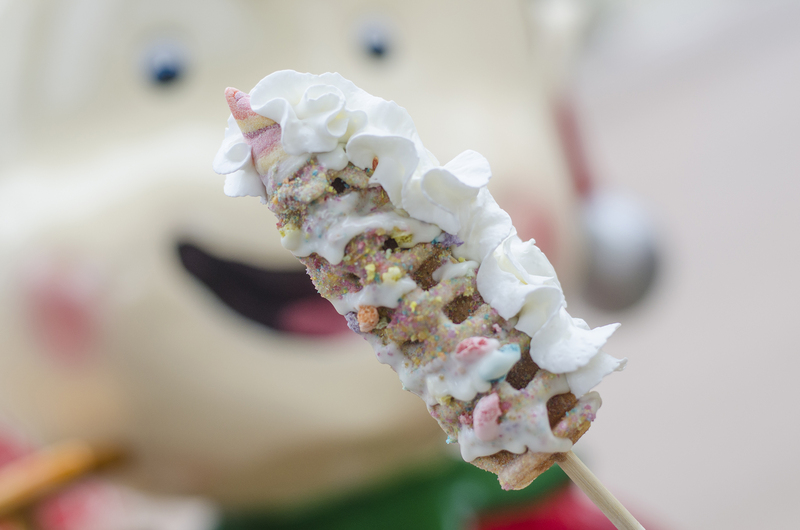 The Unicorn Waffle classic waffle is coated in white chocolate and a fruity magic dust. Salty and sweet combinations always hit the spot. Especially when it’s a Salted Caramel Pretzel waffle. Classic waffle drizzled in white chocolate coated in caramel chunks and smashed pretzel. Topped with a few white chocolate pretzels, a drizzle of caramel sauce and a light dusting in coarse salt.